This summer I had the pleasure of volunteering with my daughter in the newcomer kindergarten room during summer school. It's the classroom of my lovely friend and colleague, RJ. In my now 20+ years of teaching, I've taught nearly all ages. I have taught middle school, high school, and adults. I taught at an elementary school for 5 years, mostly focused on 3rd, 4th, and 5th graders. I taught 1st grade there for a year and almost died. :) Even now, when I think back on that class, I get a bit of a stomach ache and nervous feeling. I know some of you might be thinking, "But, you handle middle- schoolers! How could 1st graders scare you?" I don't know. We just all have our own mountains to climb and things that intimidate us. I was so unprepared to handle a group of 1st graders. I didn't know how to get them to do what I wanted them to do. I didn't know how to manage them at all. It was a disaster, until about the 3rd day, when my very kind and seasoned paraprofessional asked me kindly, "Honey, would you like some advice?" "Yes, Please!!!" And, then she took me by the hand and showed me some really solid tools and helped me implement them for the rest of the year. I survived and so did the kids. So, that's the closest I ever got to kindergarten. I've always regarded them with with a mix of interest, amusement, and caution. But, I dove in, and I learned so much in those three short weeks. Here are 5 big takeaways. 1. Enthusiasm is contagious and beautiful. The kids in kindergarten this summer liked me, but they REALLY liked my daughter. There were a few kids who especially attached themselves to her. One boy would get so excited when we arrived. He would come up to my daughter and ask excitedly, "Are you coming?! Are you coming?" She'd respond, "Yes, I'm coming! I'm here!" He'd also repeat over and over about my daughter, "I like it my Abby. I like it my Abby." Grammatically incorrect, but, oh, so adorable. And, when we were going to do an activity that he really liked, he'd raise his hands in the air and shake his fists and exclaim about it. It really made me reflect on how fun and joyful it is to be around people who are enthusiastic and excited about life. It's so beautiful and SO contagious. 2. Kids will rise to your expectations of them. One boy started to have some really difficult behavior in the time we were there this summer. Not listening, not following directions, being aggressive with other kids. RJ said it was new behavior for him and was a bit mystified about it. She handled it well. She was firm and kind, followed behavior plans that kids were familiar with, and set limits as necessary. I found myself starting to feel a bit negatively towards him and like I had to watch him carefully. Therefore, not surprisingly, I was catching him doing a lot of inappropriate things and correcting him a lot. And, it really wasn't making him much better. I could feel a slight negative dynamic building even in my short time with him. On our last day there, he seemed to be in a better place and he surprised me by participating and even being a leader in a little group activity I led. I started building him up during this activity, praising him on his ideas, really connecting with him. I told him that I knew he could do it and I was so proud of him. And, you know what???? He rose and kept rising to my expectations that morning. As teachers and parents, you can never forget how powerful your expectations of kids are. Kids will read you like a book and they will sense and feel what you think of them. And, they can rise or fall on that. 3. You can teach mindfulness to kindergartners. So, I asked RJ if I could teach some mindfulness to the kinders and she said yes. I really considered my audience when planning the lessons, so kept them short, active, and visual. We did belly breathing and the volcano breath. We did mindful movement. We listened to my singing bowl and I let them take turns ringing it. And, it captured their attention and they got very quiet while the sound vibrated. 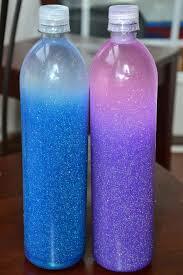 And, finally, we made calm-down glitter bottles. I explained that when it's all shaken up, that's what their brain is like when they're mad or upset. I told them that they could hold it and watch the glitter settle, breathe, and calm down. The most brilliant part of mindfulness is that kids learn they have agency over their actions and that they have the power and strength to learn how to manage strong emotions. And, I could see the beginnings of that in our lessons. 4. Being with an excellent teacher in her classroom will always be the best staff development. I like staff development, trainings, workshops, and classes. I can almost always find some value in whatever I attend. However, spending three weeks, with RJ reinforced something that I've long believed in. The best staff development you can get is to go and spend some time in a really good teacher's classroom. You will get so much bang for your buck. All teachers should do more of this. - Notice the physical environment. How are things arranged in the classroom? What are different areas for? What's on the walls? How is student work displayed? Are there guidelines for behavior posted? Take photos if you want to remember some things you really like. -Really observe the teacher. Watch how she leads, talks, interacts with kids, deals with positive and negative behaviors. How does she handle transitions? What about variety in the school day? -Observe the kids. Notice how they interact with each other and handle themselves. Observe their relationships with the teacher. I felt really lucky to be a part of RJ's classroom for a few days this summer. She's a masterful teacher. I saw someone with great expertise of her subject matter but also someone with humor, warmth, flexibility, compassion, and great love and joy for children. It was invaluable. I'm in a particularly lucky position with my job, because I co-teach every day. So, I get to interact with and observe an amazing teacher on a regular basis, and it has made me so much better than if I was just left to own devices. It helps me raise my teaching game. This year, pick a teacher you respect and admire, and go spend a day with her/him. 5. All I really need to know I learned in kindergarten. 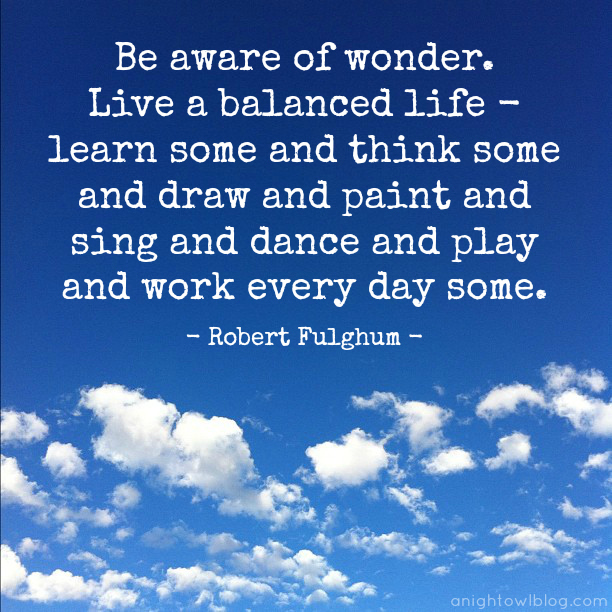 To be honest, I've always kind of thought this poem by Robert Fulghum was kind of corny, but it's true. I watched those kinders this summer and I realized that so much of what they're learning every day- how to listen, how to share, how to cooperate, how to deal with difficult emotions, how to pay attention- are really the core lessons of life. I think about all the divisiveness, hatred, and misunderstanding in our nation and world right now, and I would just advise all of us to go back and review this poem and reflect on some of the essential nature of what it means to be human. Think about how we want to treat our fellow human beings. We could all stand to go back and review our lessons from kindergarten.